If you were planning to save some money by selling your own home, remember that this is a very important and legally complicated process that most professionals would not recommend that you try to do yourself. There are a few different reasons as to why it is not recommended in today’s housing market, and I will discuss a number of them. You limit your exposure, which means that it could take far longer for your home to sell. Remember that a good broker has a network, they know how to draw people in and garner attention. I have seen personal sellers who drew in about 10 percent of the traffic than what an actual broker would have. If you leave your home on the market for a long time, you will have to drop the price. It is logical if you think about it. If a prospective buyer hears that a home has been on the market for ages, they will think that the home has something wrong with it…even if it does not. The selling process really only starts after a prospective buyer leaves your home. Most people assume that just “falling in love” with the décor or the layout is enough to sell your home. However, from financing to buyer’s remorse, there are many things that can go wrong between that moment of interest and finalizing the deal. Limited exposure (as mentioned in the first issue) means that you will likely have a far lower selling price. You want people to be interested, raise the price, and get the best possible deal. You cannot really raise a price if you are only negotiating with one person. Most buyers find that talking directly to a seller is very awkward. This is “their home” that they are buying, oftentimes this feels like a strange prospect because so many homeowners go through trained professionals who know how to make people feel comfortable. Even if someone is interested, remember that you are still signing legally binding contracts. A lower selling price is just one of your concerns, possible lawsuits and a faulty contract are oftentimes far worse. Most qualified buyers will have an experienced real estate professional in their corner. Remember that if you are negotiating with a professional, chances are that they know some loopholes that you do not. This instantly puts you at a disadvantage, because these professionals only care about getting the best price for their clients, they do not care about making you any money. Some people will hire a lawyer to help with the process. If you look at how many billable hours your lawyer may have, some sellers quickly find out that a lawyer is far more expensive than a real estate professional (and they still had to do most of the work themselves). 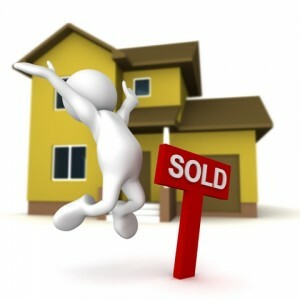 Remember that when it comes to up-to-date market information, only real estate sales representatives have access to it. You can use a news report to generate an estimate, but there are no specifics that you need to price your home accurately. This could lead to you having a price that is far too high (which means fewer interested parties) or at a lower price than necessary (which means you leave money on the table). Even if you accept an offer, it does not mean that closing is going to go according to plan. This is why you need a professional in your corner that can go to bat for you if you are having difficulties, otherwise it means that the deal might be lost.